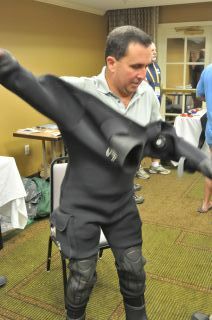 DEMA 2017 Comfort Zone Scuba sponsored an after hours reception welcoming divers to the end of the first day. Oceaner personnel were their to share some of their 35 years of experience in the making, maintenance, and repairs of neoprene products. 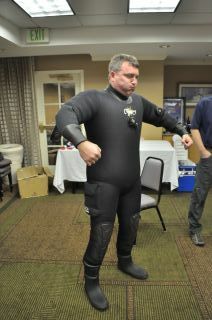 Dealers and other dive pros were able to see for themselves how comfortable the suits are by trying them on. 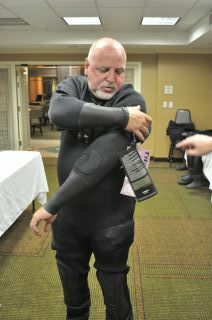 Pizza and refreshments were enjoyed while general diving talk was discussed such as training and travel experiences.